Not yet six months into his job as chief executive officer of Deutsche Bank AG’s asset manager, Asoka Woehrmann visited offices across the globe and rehired a former star manager to boost morale. This week, he took more painful measures, firing dozens and more cuts are likely, people familiar with the matter said. But as Woehrmann toils away at restoring growth and profitability at DWS Group, one question looms large over the 53-year-old: How long can his roughly $750 billion firm continue on its own in an industry that’s dealing with massive pressure on margins, and where $1 trillion and more in assets is increasingly seen as the sweet spot? That question has only gained urgency since Deutsche Bank entered into talks to acquire Commerzbank AG, a deal that may require it to raise billions. Firms including Allianz SE, UBS Group AG and Amundi SA are all potentially interested in partnering with DWS in some form, according to people familiar with the matter. While the lender is reluctant to put DWS on the block, it may have no choice if shareholders don’t cough up enough fresh cash. 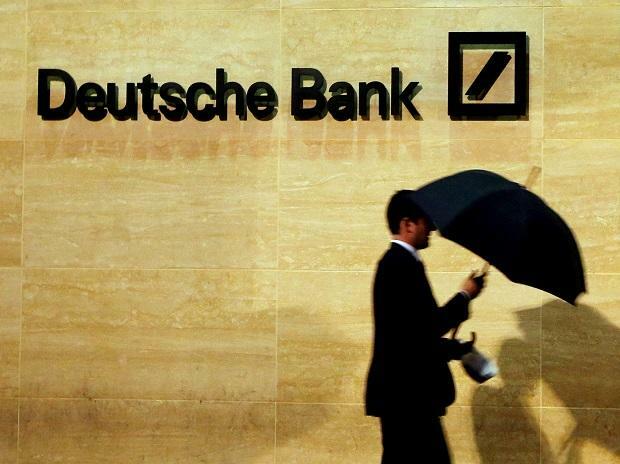 With Deutsche Bank knee-deep in deal talks, Woehrmann for now has been focusing on a strategic review of the business, the results of which may be announced within the second quarter. They will probably mean further cost reductions, possibly cutbacks to the company’s product offerings, and changes to its U.S. operations, according to people briefed on the matter. Woehrmann may also discard some of the ambitious targets set by his luckless predecessor Nicolas Moreau. The new CEO has ample experience restructuring. Between 2015 and 2018, he was head of German retail clients at Deutsche Bank’s retail and commercial bank, his only career stint outside DWS. The unit’s head at the time, Christian Sewing, asked him to implement an ambitious cost reduction program that included closing almost 200 retail branches and eliminating thousands of jobs. Woehrmann restructured the chain of command, devolving responsibility to regional executives, according to an executive who worked with him at the time. And unlike his predecessors, he closed branches even when other Deutsche Bank executives asked him to leave them intact in their home towns, the person said. His willingness to take the job and then implement the program earned him the trust of Sewing, who would go on in 2018 to become CEO of Deutsche Bank, several people said. Colleagues and acquaintances who have known Woehrmann for years praised his ability to motivate people. He can adapt to his audience, has an uncanny ability to remember people and makes an effort to greet them with a bit of small talk regardless of their rank, they said, asking not to be named. He’s also a demanding leader who expects staff to work hard and dresses them down if they don’t perform, they said. Yet the challenge he’s facing won’t be addressed with people skills and cost reductions alone. DWS suffered 22.3 billion euros ($26 billion) in outflows last year. Changing that will be hard amid a tough market outlook, competition from larger, lower-cost firms, and a parent company whose struggles have put off potential clients. While Woehrmann said in a recent interview that the company is on a good path to a reverse the trend in the first quarter, he has a long way to go. The world’s largest asset manager, New York-based BlackRock Inc., has about $6 trillion under management. Europe’s largest, Amundi SA, oversees about $1.6 trillion. DWS doesn’t make it into the top 10, not even close. For Woehrmann’s predecessor, the answer was clear. In late September, just a month before his surprise departure, Moreau outlined his new vision for the firm at an internal meeting in Amsterdam, according to people who attended. He explained how he would reach his ambitious targets and plug gaps in the product offering. That would lead up to the ultimate goal: a large merger at some point in the future.